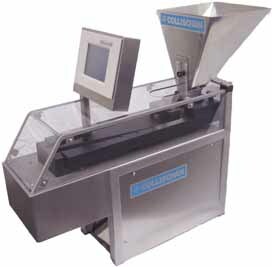 Since 1933 Collischan has been engaged in automatic weighing technology. Currently Collischan manufacturing program includes not only superb weighing equipment but as well Pharmaceutical Counting machines for tablets, capsules, and dragees. 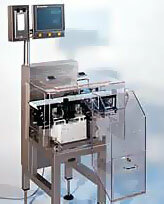 Collischan Counting Machines proved exceptional accuracy and reliability. MiniCount series simple reliable universal machine, suitable for a variety of applications, this counting machine is available in variety of configurations. MultiCount series of high speed counting machines capable to fulfill demanding applications of the pharmaceutical industry. MultiCount counting machines are available in twin version allowing even higher throughput. 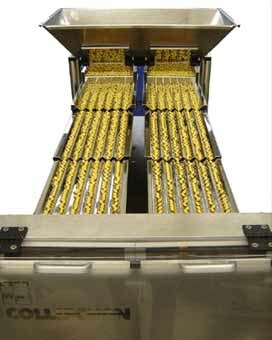 Tara-Gross Application this unique equipment includes integrated counting machine, and high performance double CheckWeigher TC 8210 series. Such equipment is suitable for filling containers with tablets, capsules, dragees or powders. Special Machinery in the field of check weighing counting and weigh filling.